Do 4K The MHL Way ? It’s only been 88 years since Logie Baird demonstrated the first television to the public in 1926. Roughly 62 years later the first high-definition television (HDTV) made its debut in 1998, offering a glimpse into the future and all of its brilliant possibilities. Luckily for consumers, TV resolutions have continued to evolve and at a much faster pace. On October 2012, the 4K Ultra High Definition TV was born with a resolution of 3840 x2160 pixels, quadrupling the resolution offered by an HDTV format. While many new technologies are often greeted with enthusiasm, consumers are a fickle bunch, so many of these concepts never really take off. 4K UHD has been enthuastically embraced according to a recent CEA quantitative study, where 73 percent of consumers in retail store environments strongly view the technology as a positive step forward. As more 4K UHD TVs enter the market, prices have also come down significantly, making them more affordable for mass adoption. So how does MHL® technology fit into this 4K picture? MHL enables the delivery of uncompressed video and audio from mobile devices to larger screen displays. It is the de facto mobile video-out standard for Android-based smartphones with more than half a billion MHL devices in the market1. In August 2013, MHL took a huge step forward with the release of its MHL 3.0 specification that enabled the transmission of 4K video. Since HDCP 2.2 content protection has been implemented in the MHL 3.0 link, consumers can enjoy their favorite 4K resolution Hollywood movies and other premium content securely and seamlessly. The MHL 3.0 interface standard offers numerous benefits compared to a wireless connection. 802.11n and 802.11ac technology does not have enough bandwidth, even with MIMO, to transmit uncompressed 4K video. This combined with radio interference means that consumers are not always guaranteed a good user experience. MHL 3.0, on the other hand, has sufficient bandwidth using 6Gbps to send uncompressed video and audio. Since MHL is wired, wireless access to the Internet should work reliably. Consumers can plug-and- play with content off the cloud, take calls, add Bluetooth peripherals like gamepads or headsets and should not be worried about issues that commonly exist with wireless video transmission standards. There are also other reasons why MHL 3.0 is a good choice for smartphones, set-top boxes and other standalone devices for all modes of transmission including 4K UHD. MHL promotes interoperability across devices regardless of manufacturer. For example, a Sony smartphone can work with a Samsung MHL TV. In terms of cost, the technology only requires fives pins to transmit uncompressed 4K video and Blu-ray audio. This is a huge saving for manufacturers for build and board costs since other interfaces may require up to 19-pins to achieve the same resolution output. MHL 3.0 also provides the ability to charge up to 10W using one of the five pins. This saves consumers from purchasing an additional power supply. Adding the ability for the TV to charge the smartphone or tablet means MHL 3.0 is one of the most green interface standards today. 4K UHD is poised to conquer consumer living rooms in 2014 offering consumers four times the resolution of HDTVs. In the realm of 4K UHD, it is easy to see why MHL is a leading technology to use. 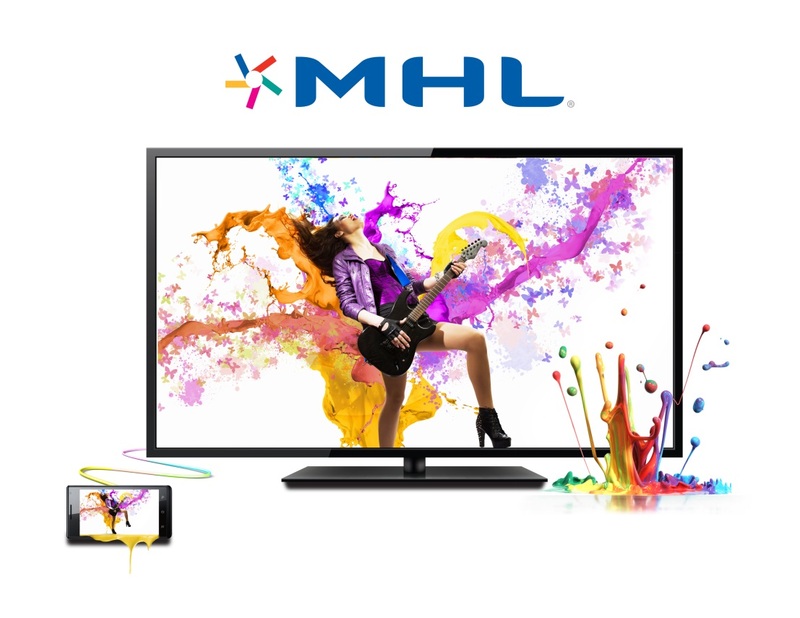 In addition to offering built-in 4K UHD transmission technology, and being easy to implement and low cost, MHL has been in the market since 2010 and its ecosystem is continuing to steadily grow. 4K UHD with MHL is here today. In fact, the Sony Xperia™ Z2 is the first smartphone to support 4K UHD output powered by MHL 3.0. MHL 3.0 4K TVs are also starting to make their way into the market, providing a true end-to-end solution. It’s easy to see why doing 4K UHD the MHL way, is perhaps the best way compared to competing connectivity standards. Please visit mhltech.org to find out more on why MHL is right for both OEMs and consumers alike.